When we plan our wedding, usually after all the planning (finding the venue, the photographer, the dress, the caterer) the jewellery and the tiaras can simply slip our mind. It shouldn’t though; the wedding Tiara is something which can really pull together you entire wedding attire. The Tiara comes in all different shapes and sizes and you can find a style to fit you no matter what kind of woman you are and no matter what your everyday style. A Tiara adds a very feminine and elegant touch to the wedding dress - and often ties in the entire outfit, including the earrings, necklaces, shoes and veil. You may want to pick something simple and understated – or you may want to opt for something utterly glamorous and striking. So where you find inspiration for this important day of your day? Well I’ve compiled a list of some beautiful and iconic wedding Tiara’s for that very reason! She was the bride on everyone minds last year and there was a huge demand for lace wedding dresses and Tiaras like this one. Her Tiara was relatively understated for a royal wedding (believe it or not) and we just adore it. The tiara is a simple princess style, with platinum and diamonds. If you’re looking for something similar you could find similar (but much cheaper!) style at high street retailers that have wedding sections. Most bridal shops should stock a style similar to this as it is so in-demand at the moment. 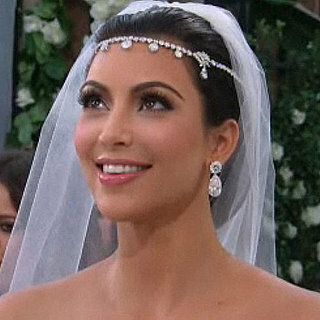 – Kim’s tiara was surprisingly understated considering her usual glamorous style. The tiara is ethnic inspired and looks like it could almost be found on a belly-dancers in the dessert! It’s a beautiful style for someone who wants something delicate, beautiful but also understated and subtle. Because of the simplicity of this tiara – the attention is on the bride herself – and not her bling. Another beautiful royal wedding here! 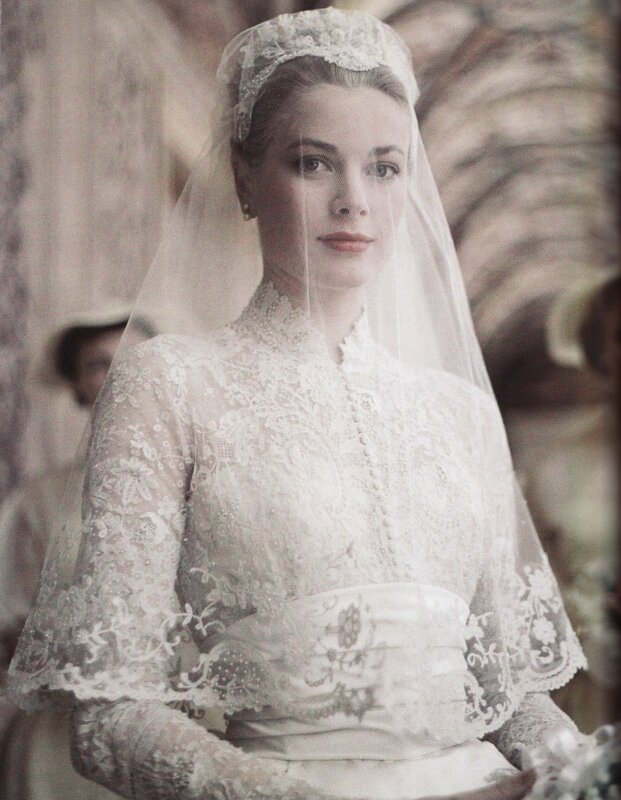 Grace Kelly created a timeless, stylish and elegant wedding look. Her tiara, interestingly, isn’t actually made of a precious metal – but of lace instead. The style looks beautifully original and very bespoke too, so if you take inspiration from this look those should be traits you associate with yourself. This tiara style would look perfect with a lace gown (as Grace Kelly shows) and simple, classic make-up. This look is for the classically beautiful bride who wants to look more vintage and elegant than glamorous. CS Bedford, a wedding jeweller and Calle Arco – a luxury gifts retailer.